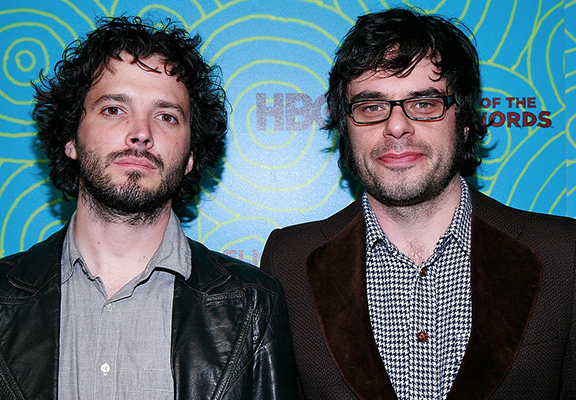 Cult comedy duo Flight Of The Concords have announced they’ll be returning to the UK next year. The folk comedy duo from New Zealand, who are known for the their unique sketch show, will be playing two nights at London’s Eventim Apollo on 19th March and 20 before travelling across the UK and Ireland next year. Tickets for their highly sought after shows will go on sale 27th October. Along with their popular sketch, which airs on HBO in the States, the duo of Jemaine Clement and Bret McKenzie have released two albums, their latest LP, I Told You I Was Freaky came out in 2009. If that wasn’t enough they also teased the possibility of jumping to the big screen after they revealed they were throwing around possible ideas for a film. We’ve got a few things up our sleeves. We’ve done a little work on some of those ideas. The ideas we have are quite different to the TV show. It’s still music, still a couple of idiots and another idiot and some music.